We Want your Gun Videos and Pictures! 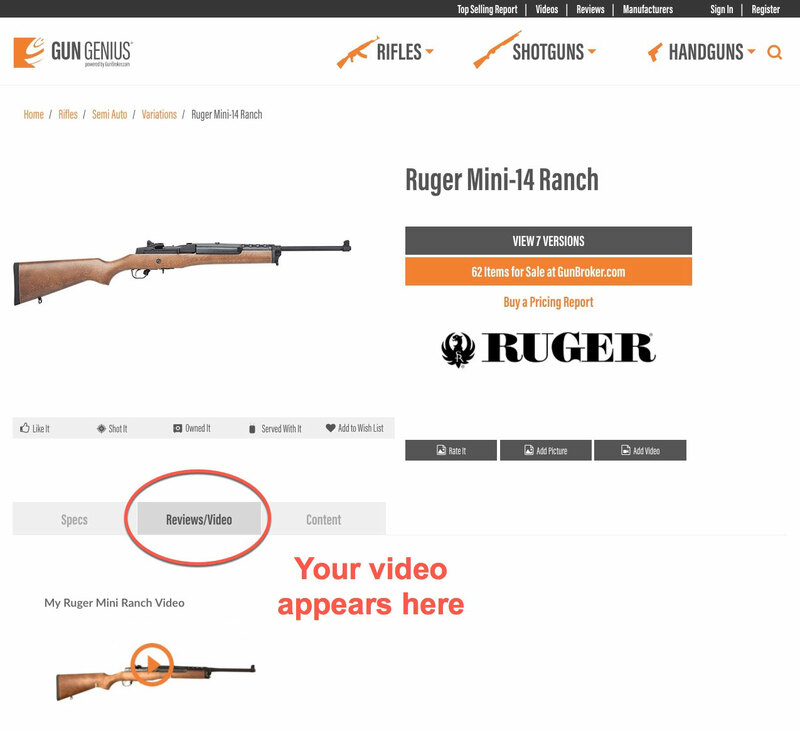 As a registered GunBroker user, you can upload your own videos and photos to GunGenius.com and be seen by our large audience of gun enthusiasts! First: Sign into GunGenius.com by using your GunBroker.com account username and password. If you do not have a GunBroker.com account, use the links to register for an account. 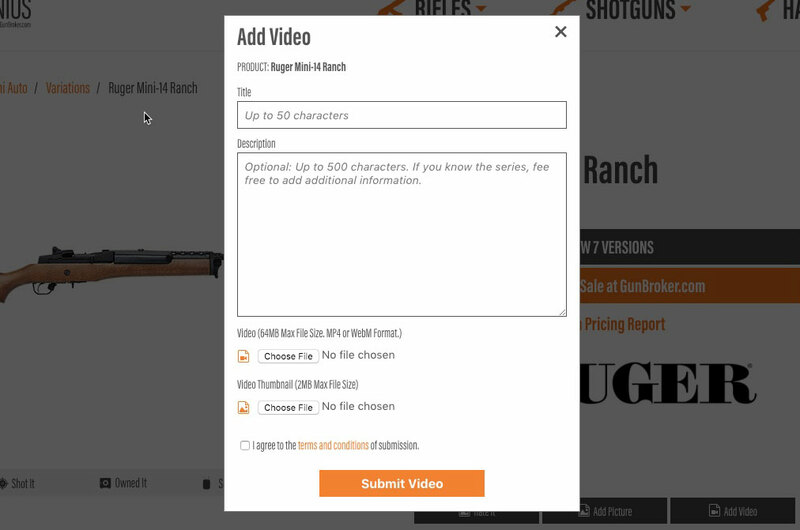 On each Gun Product page, there is a link to upload a picture, and upload a video. Select "Upload Video"
A pop up window will appear. Add a title and a description of your video. Upload a video file using the "Choose File" button. You can upload a Video up to 64MB Max File Size. Video Format: MP4 or WebM Format. This is the picture that other users will see before your video plays. Thombnail size is limited to 2MB Max File Size. Video Thumbnail Should be .JPEG or .PNG format.